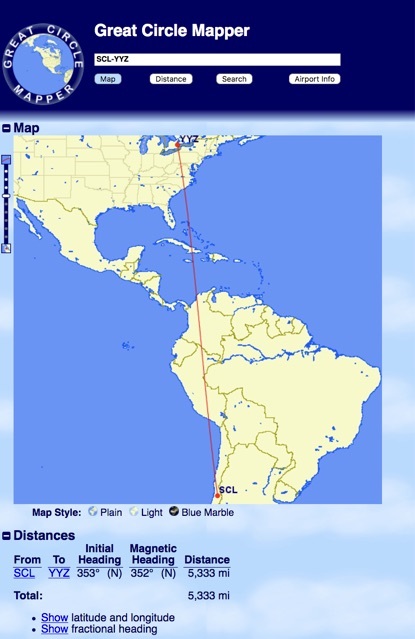 Great Circle Mapper is a useful tool to find the shortest distance between two points on earth. 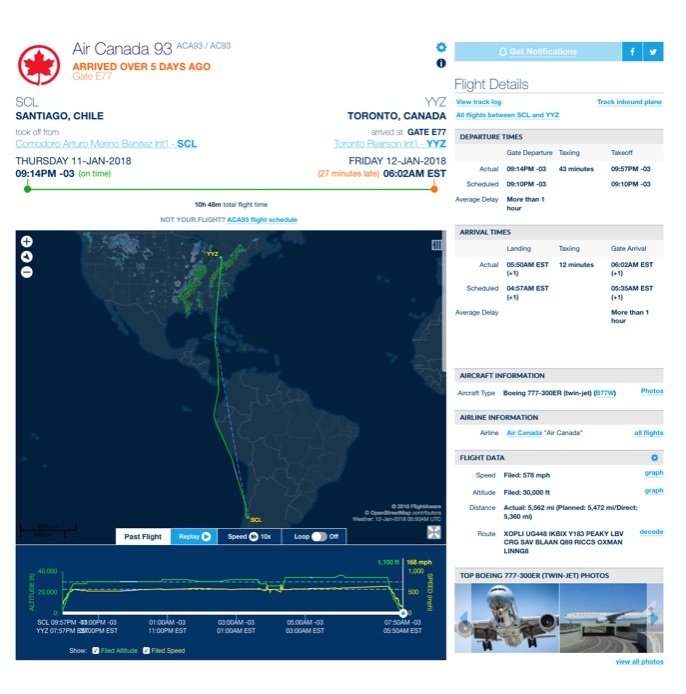 I recently flew Santiago-Toronto and was curious about our route and subsequent delayed arrival. The lengthy departure taxi and subsequent route lead to a delayed arrival, misconnections and several days of lost luggage. Air Canada service, other than the delay and repercussions was fine. I’ve asked them about the route and if they choose to avoid overflight fees, which, observing the path, would seem to be the case.